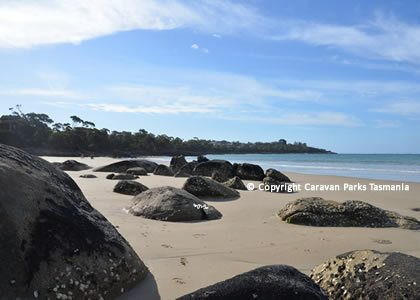 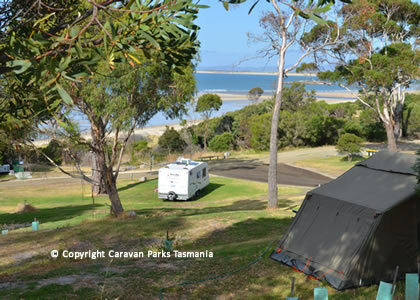 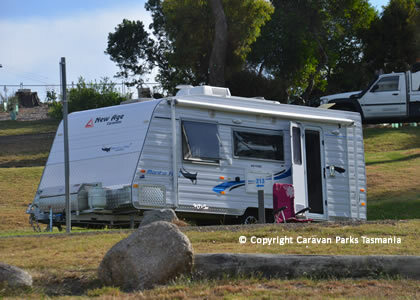 The Bridport Caravan Park overlooks Anderson Bay, and is located right on the beach. 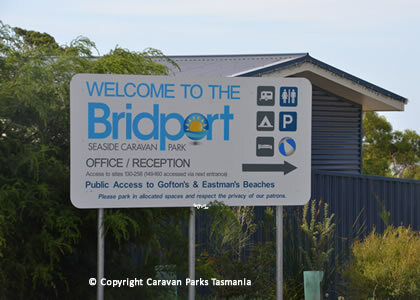 It is a magic location, with access to a large number of beaches in Bridport. 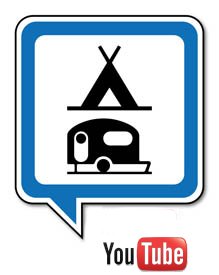 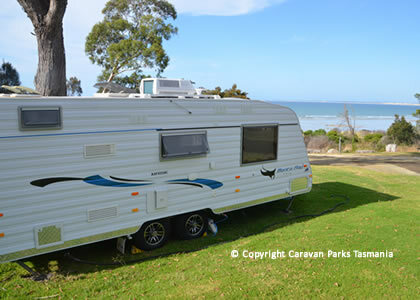 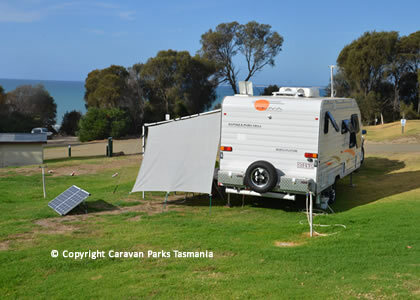 The Bridport Caravan Park has both powered and non-powered camping sites. 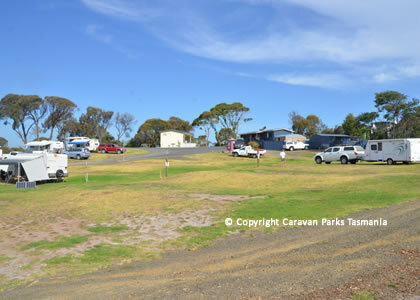 The caravan park Bridport is set within a natural bush setting, and convenient to local facilities such as supermarkets, food outlets, restaurants and wineries. 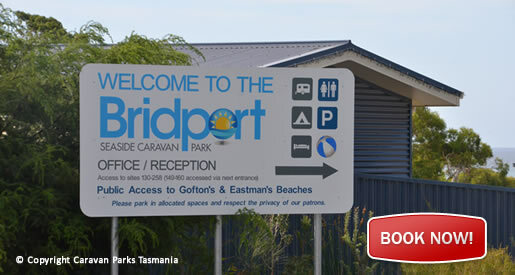 There are two local golf courses in Bridport, including the famous Barnbougle Links Course, considered one of the world's leading public golf courses. 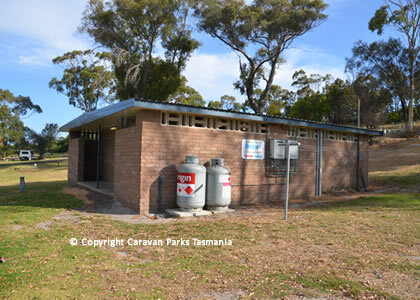 There is an amenities block, shared bathroom, laundry, barbecue facilities and tennis court at the Bridport Caravan Park. 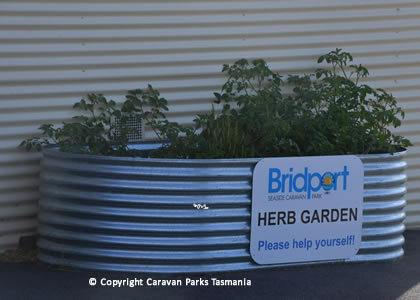 While staying at the Bridport Caravan Park Tasmania, be sure to visit other local attractions in the area including Bridestowe Lavender Farm; the largest lavender farm in the southern hemisphere located just outside of Scottsdale at Nabowla. 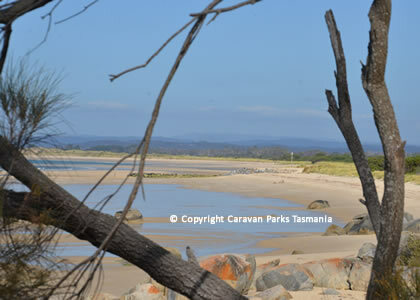 Plan a bushwalk in one of Tasmania’s coastal national parks and enjoy diving or snorkelling, swimming, fishing, boating, kayaking and sailing on the beautiful beaches near the caravan park. 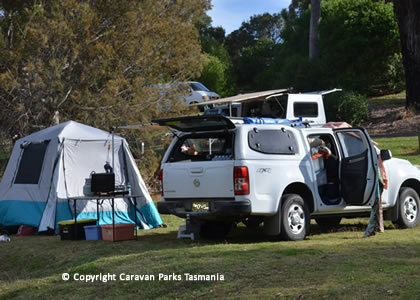 The caravan park office is open seven days a week with staff on hand to help with your enquiries. 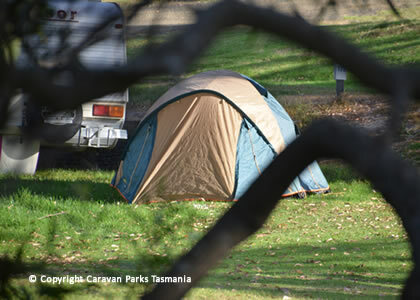 The Camp Kitchen includes free BBQs, sinks, use of a kettle and toaster - no fridge. 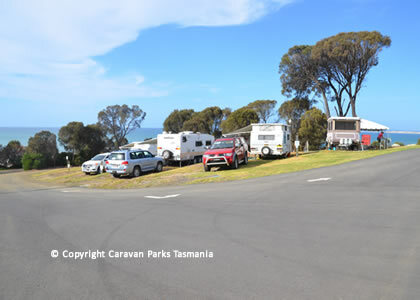 You can sit at the tables provided, pick herbs or lettuce to add to your salad from the Herb Garden and enjoy the fabulous views offered at this park.